An inspiring picture book sports biography about two of the greatest female tennis players of all-time! Venus and Serena Williams: Best friends. Sisters. Champions. Everyone knows the names Venus & Serena Williams. They've become synonymous with championships, hard work, and with shaking up the tennis world. 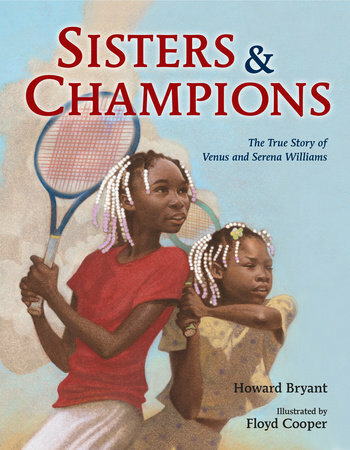 This inspirational true story, written by award-winning sports journalist, Howard Bryant, and brought to beautiful life by Coretta Scott Kind Award and Honor winner, Floyd Cooper, details the sisters' journey from a barely-there tennis court in Compton, CA, to Olympic gold medals and becoming the #1 ranked women in the sport of tennis. Here is a worthy ode to Venus and Serena Williams, the incredible sister duo who will go down in history as two of the greatest athletes of all time.